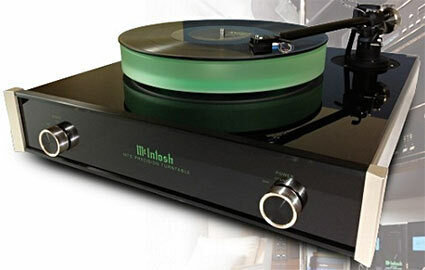 New from McIntosh Labs here at CES 2013 is their MT5 high-end audio turntable (~$6000). Like all McIntosh equipment, the front glass has a glorious glow with the company's logo. Internally, parts are all very high quality and the unit is built to last for many, many years. Divergent Technologies is at T.H.E. Show 2013 Las Vegas with their new Reference 3a MM de Capo BE monitor. At the heart of the newly upgraded MM de Capo BE is the hand built carbon fiber main driver and Beryllium tweeter. The new high frequency unit is said to be sonically more transparent than the earlier versions silk soft dome and is more detailed than the original. This new beryllium tweeter extends to 40 kHz and has a Surreal Acoustic Lens on the driver cone to stop air vortex distortions. This driver also has a much lower resonant frequency for better integration with the main driver. Whilst the cabinet dimensions are unchanged, critical internal bracing points have been optimized to achieve a more silent cabinet and less interference with the drivers. Nextel suede coats the outer cabinet, which reduces diffraction effects and absorbs surface vibrations. Sensitivity is 92dB/W/m, impedance is 8 Ohms and overall frequency response is from 42 Hz to 40 kHz. Dimensions are 15" x 11" x 13" (HxWxD) and it weighs 27 lbs. Naim Audio's new DAC-V1 asynchronous USB DAC has multiple S/PDIF inputs, precision volume control and a headphone amplifier. Since we all know that computers are an increasingly popular source of music, users can easily connect the DAC-V1 to enable it as your high-resolution music hub. 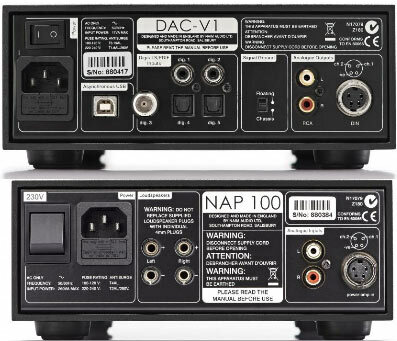 Combined with its matching NAP 100 amplifier, the DAC-V1 can be the centerpiece of any high-end audio system as source and controller. With a standard USB cable the unit can play back audio files from iTunes, Windows Media player and other specialist audio applications in up to 24-bit/384kHz resolution. Users can check incoming bit rates from the front panel OLED display and perform bit perfect checks on your ripped music files. 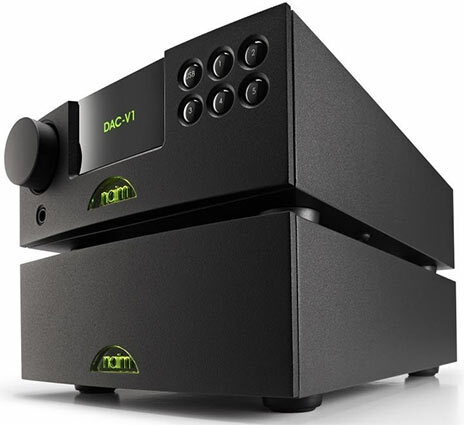 The matching Naim Audio NAP 100 produces 50 wpc into 8 Ohms (100 at 4 Ohms) to provide users the classic Naim discrete transistor power amplifier. 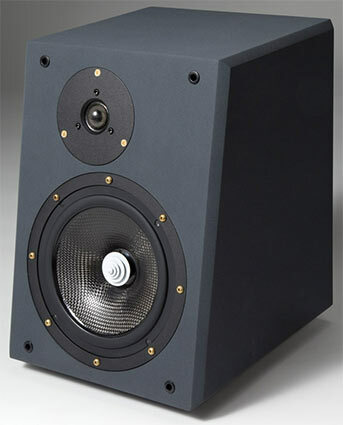 This unit is a dual mono design and incorporates audiophile grade selected components. The linear power supply with a large toroidal transformer ensures plenty of power to the internal critical circuitry. The compact non-magnetic low-resonance chassis and sleeve continue the goal of achieving the highest sound quality and reliability. 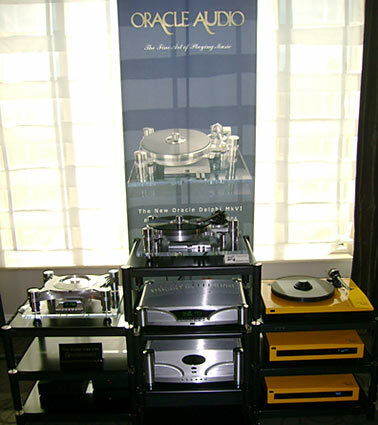 Oracle Audio proudly had their Delphi VI turntable with Oracle SME 5 tonearm and SoundSmith Hyperion phono cartridge. Also at CES 2013 from Oracle is their CD 2500 MK II transport, USB DAC MK II and SI 1000 Integrated amplifier. 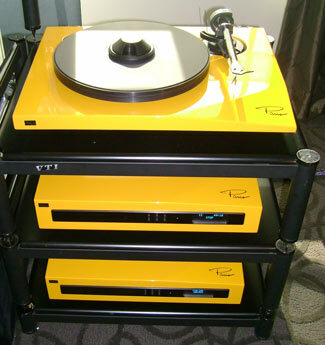 In glorious yellow color are the highly regarded Oracle Paris turntable, CD 250 and DAC 250 USB units. All cabling was from Kimber Kable. i love the yellow color Paris line so much just had to add a closer photo of it! Audionet USA is at T.H.E. Show with the company's brand new line of network ready amplifiers and client servers. New models include the DNA - Digital Network Amplifier integrated amp unit, DNP - Digital Network Preamplifier and DNC - Digital Network Client ($16,990, $15,990 and $8,490 respectively). These new components are the result of a decade of research and development with rigorous design, testing, and improvements. The result, says Audionet, "is a line of sonically exceptional components built to highest production standards and feature new and fresh design ideas". The Audionet DNP (pictured) handles signals from computers, servers, iPods, HDD, USB sticks and streaming from the Internet. The Audionet DNP is the company's first preamplifier that can be fully integrated into a network and controlled completely by Windows, Linux or Mac computers. The company's in-house developed software RCP (Audionet Remote Control Point) allows you to organize complex functions and settings effortlessly through a GUI (graphic user interface). Additionally intuitive and powerful apps are available, which interfaces with all tablet PCs and smart phones. The unit supports streaming WAV up to 192kHz/24-bit), FLAC (up to 192kHz/24-bit), ALAC (up to 96kHz/24-bit), AIFF (uncompressed, up to 192kHz/24-bit), AAC, WMA, and OGG-Vorbis. There is USB 2.0 support for external media or iPod control. There is a parametric equalizer and delay manager for all output and the included double-precision bass manager has 48 bit resolution plus has an adjustable crossover frequencies and filter properties. For those still enjoying radio, an FM tuner is also included. Naturally there is a wide variety of digital inputs, outputs and both unbalanced and balanced analog output. KR Audio Electronics USA is at T.H.E. Show 2013 Las Vegas debuting their new KR VA900 stereo integrated tube amplifier ($7450). The VA900 features an output stage that uses a microprocessor-controlled hybrid system with low frequency power beam tetrodes. The VA900 provides 80 wpc stereo by using four of the KT 120 Tung Sol tubes working in Class A/B1(Push-Pull Ultra-linear with output transformer). The Frequency Response is from 20 Hz to 20 kHz (-1dB) and output impedance is either 4 or 8 Ohms selectable to match the user's speakers. In the driver stage, KR Audio's VA900 uses MOSFET transistors, with JFET in the input stage. This hybrid configuration design brings the high SNR. All vacuum tubes are automatically biased and there is no need of manual adjustment after tube replacement. Each tube has its own LED to indicate tube failure. The VA900 is extremely well built, solid, and weighs in at over 40 lbs. 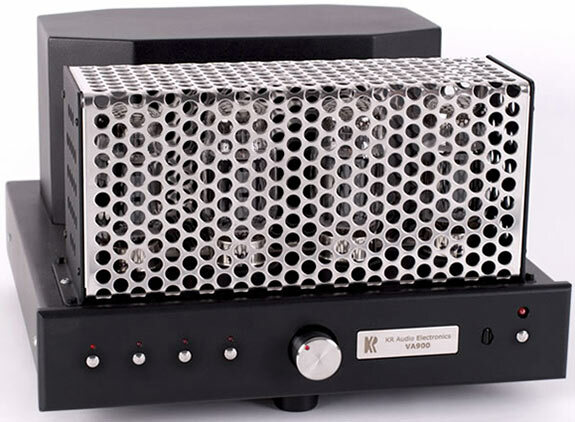 KR Audio also has their VA910 monoblocks ($18,800) that provide 160 Watts output power by using only two pairs of the KT 120 Tung Sol tubes in the output stage and MOSFET transistors in the driver stage, with JFET in the input stage.